Here is a list of the supplies you will need. First you will cut strips of the yarn and lace. I cute mine to about 14 inches. You can make yours as long or short as you'd like. To make mine extra fluffy I used 15 strips of yarn per tassel. Next you will just fold the strips in half. Then cut an extra piece to tie around the bundle. Then you end up with a tassel. You can trim pieces as needed. I would make at least eight of these to make a tassel garland. Last step is to just string them together with a long piece of yarn. 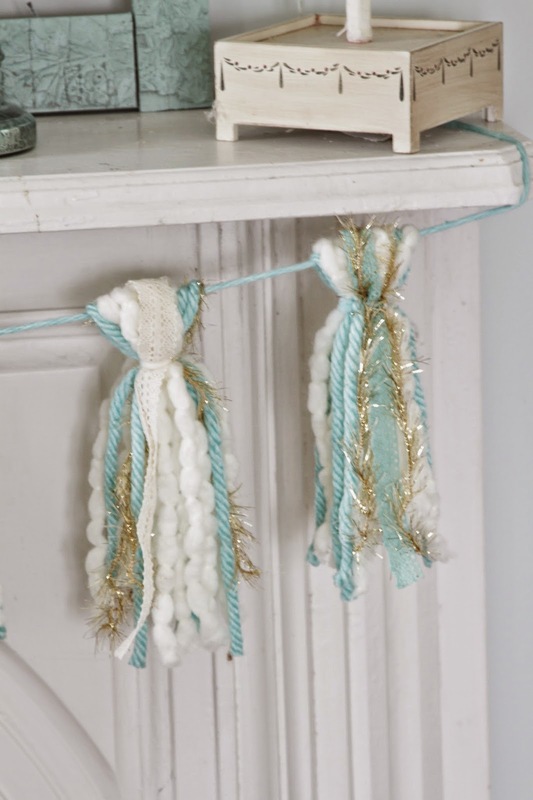 There are so many great yarn choices out there now, that you can really create some beautiful garlands. 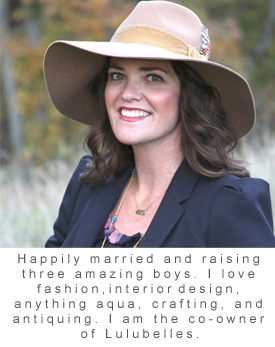 You can make one for NYE, a birthday party or shower, or a pink, red, and white one would be gorgeous for Valentines, which is just around the corner. I made several of these for gifts this year, they are just so fun! 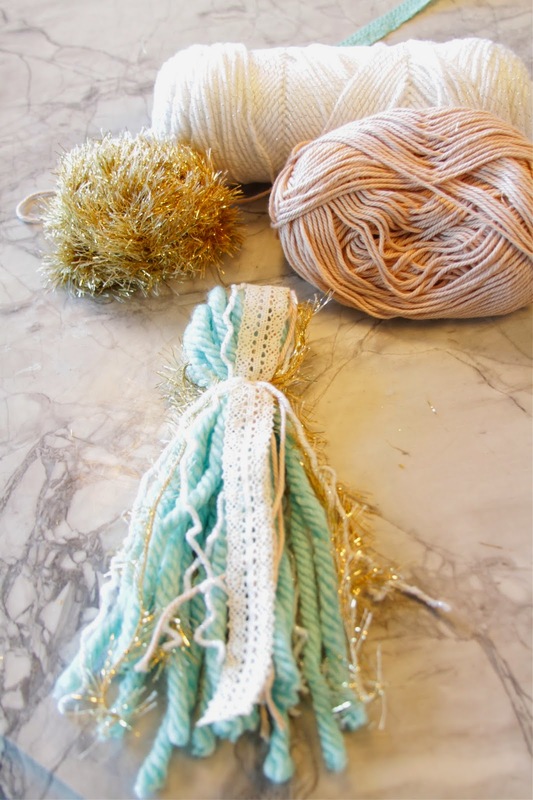 Thanks for stopping by, hope you feel inspired to create a yarn garland of your own.